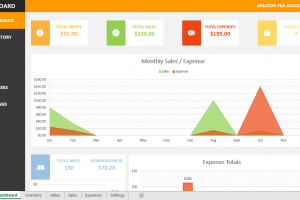 Using Microsoft Excel in processing accounting data is the right choice. 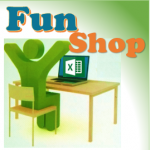 This is because Microsoft Excel offers convenience for you in running an application. 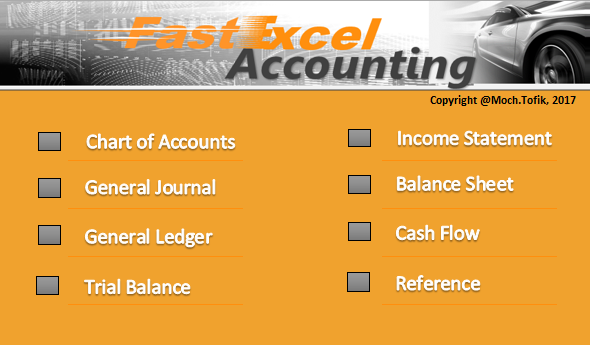 Fast Excel Accounting (FEA) that is designed in this package offers high reliability. 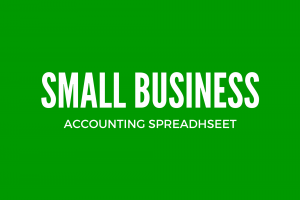 The main process in the accounting cycle designed with a smart way to produce an application that reliable and accurate and can be used in the small and medium scale business or for you who is studying in Excel/Accounting. 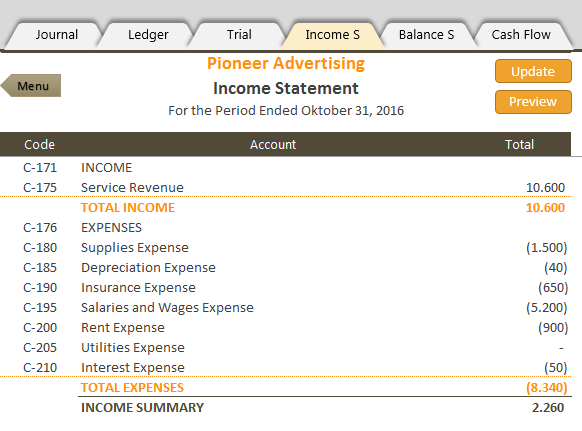 The design in this package is the main features in the accounting cycle is from the Journal transaction, ledger, trial balance, income statement, balance sheets, cash flows statement and closing entry. General Journal Sheet records the transactions in chronological order (the order in which they occur). Thus, the journal is referred to as the book of original entry. 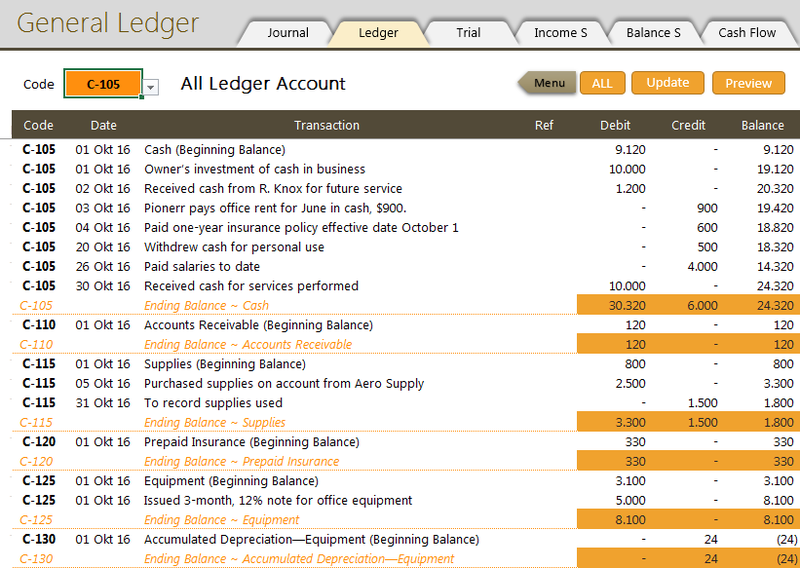 For each transaction, the journal shows the debit and credit effects on specific accounts. 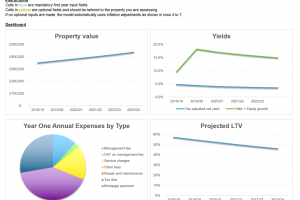 In FEA, the process of recording the transaction is designed as easy as possible. 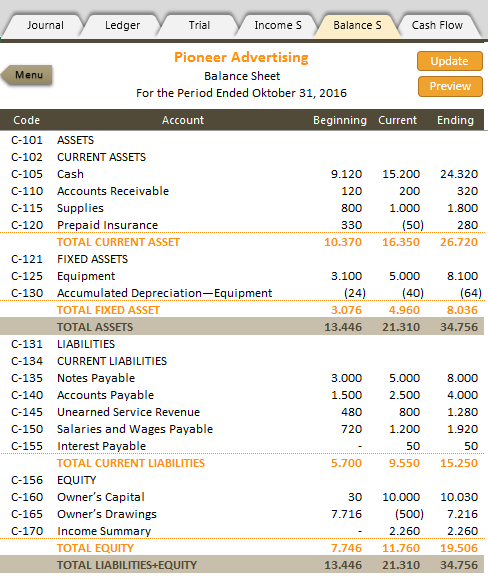 Statement of Cash Flows Sheet. 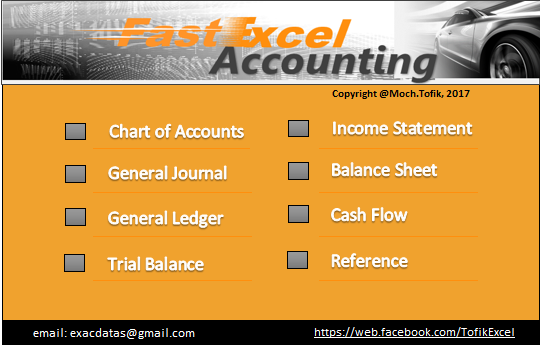 The statement of cash flows Sheet provides information on the cash receipts and payments for a specific period of time. 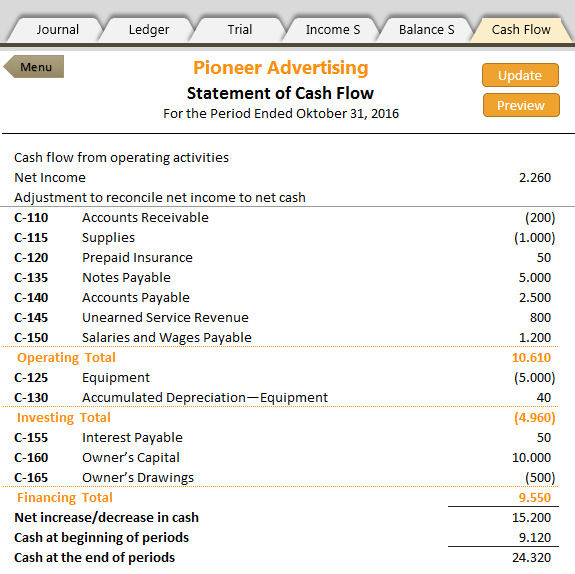 The statement of cash flows reports (1) the cash effects of a company’s operations during a period, (2) its investing activities, (3) its financing activities, (4) the net increase or decrease in cash during the period, and (5) the cash amount at the end of the period. 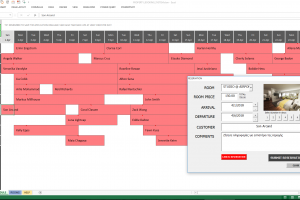 In FEA we just click the button to process the transaction in sheet General Journal to process the Statement of cash flow and to print preview.